Ironia Elementary School students are having much more fun at recess thanks to the Ironia PTO. 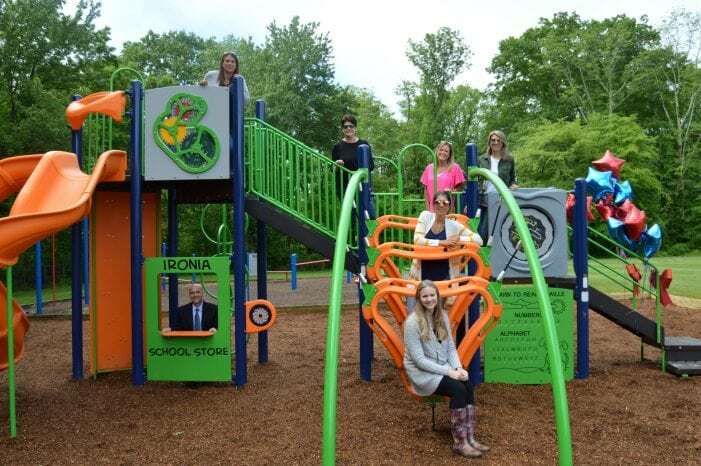 The Randolph school’s Parent Teacher Organization donated new inclusive green, orange, blue and grey playground equipment made possible through fundraising efforts like its Winterfest fundraiser, holiday gift shop and book fair. Ironia Principal David Kricheff and the Ironia PTO Board enjoyed the dedication ceremony — and the new playground. Ironia Principal David Kricheff welcomed students, teachers and the PTO at a special ceremony and thanked the PTO for its generous donation to the school. A contest took place to name the playground and Linda Andrews’ class picked the winning entry: Panther Park. The PTO has been working on this significant donation for five years, noted PTO Co-President Tara Novak. 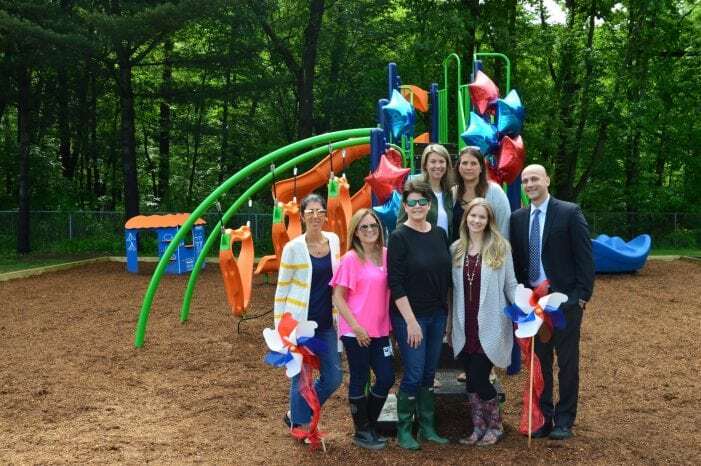 “We are so excited that the kids have different options for recess,” Kricheff said, adding that the new, inclusive equipment is great for younger students, including kindergarten students, and encourages imaginative play with a school store and different creative play areas. The new playground includes an inclusive spinner and orange triangle climbers. One area, which lists the alphabet and numbers, features braille writing. There is a maze with marbles and gears to turn. The PTO donated $65,000 for the equipment, which is now located behind the school, between the older playground area and physical fitness area. Co-Presidents Novak and Francesca Tighe, Vice Presidents Evelina Pentz, Kristin Sullivan and Karen Galluzzo and Secretary Jenn Freeman enjoyed the celebration and dedication ceremony.